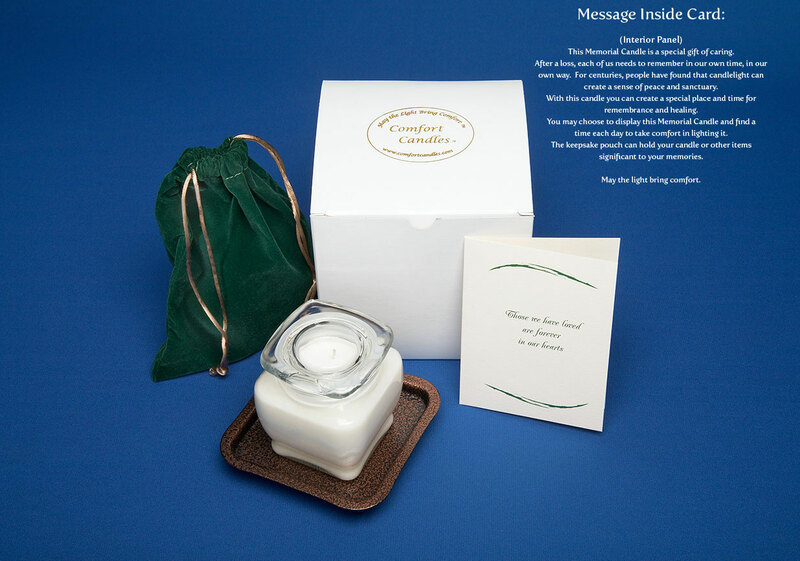 A lasting expression of caring and connection, these special Memorial Candles gift packages have been designed to comfort those who are grieving and to honor the memory of a loved one in their life. 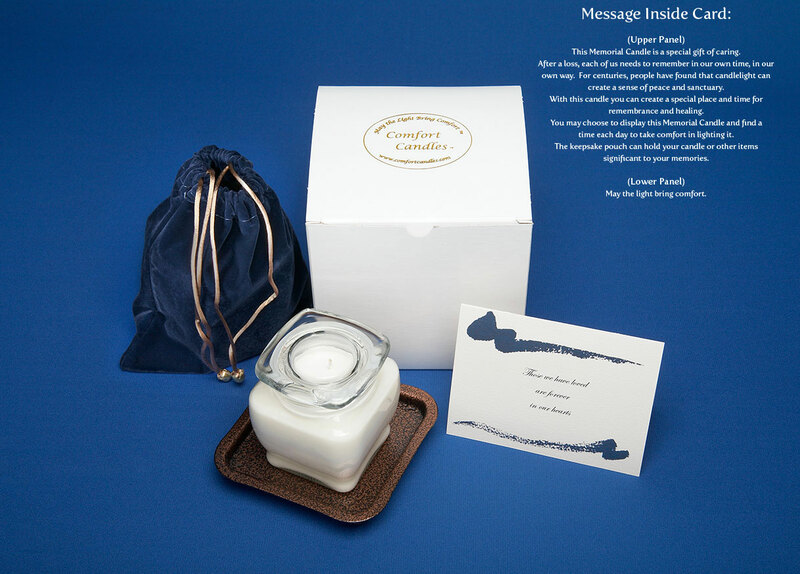 Each candle package includes a soothing aromatherapy candle hand poured in a beautiful glass encased holder and brass stand. 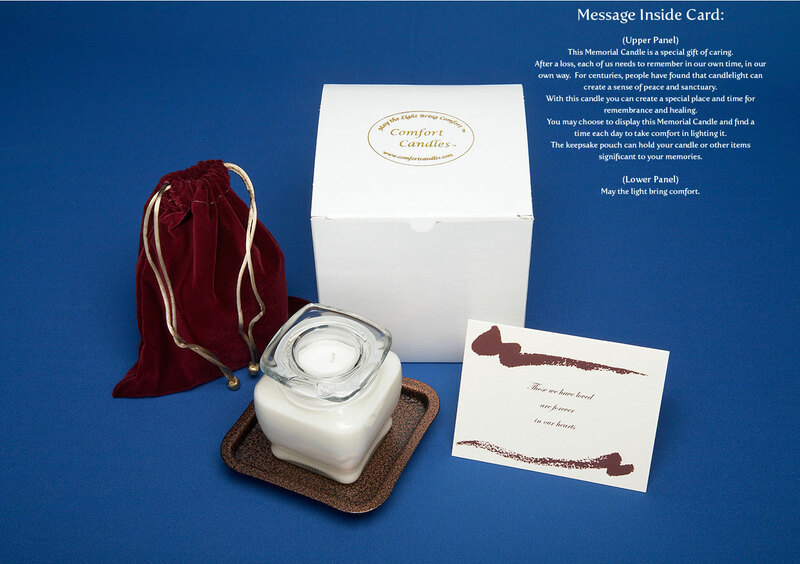 A keepsake to treasure, this special Memorial Candle comes in an elegant, velvety pouch with an inspiring card and personalized message.